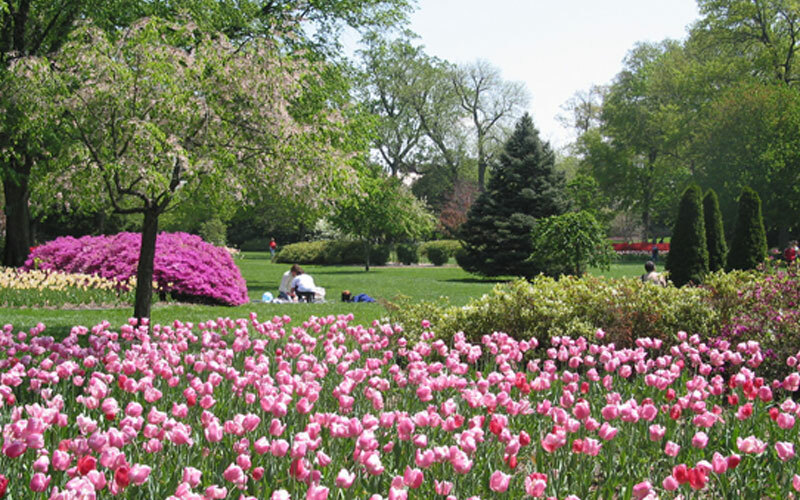 Sherwood Gardens | Approximately 80,000 tulip bulbs are planted annually along with other spring flowering bulbs. Dogwoods, flowering cherries, wisteria and magnolias bloom throughout the gardens. Parking information, listings of nearby restaurants, attractions and museums – all the info you need to plan a great day at Sherwood Gardens. Get inspired by our gallery of beautiful photographs that capture some of the stunning seasonal plantings that have appeared at Sherwood Gardens. 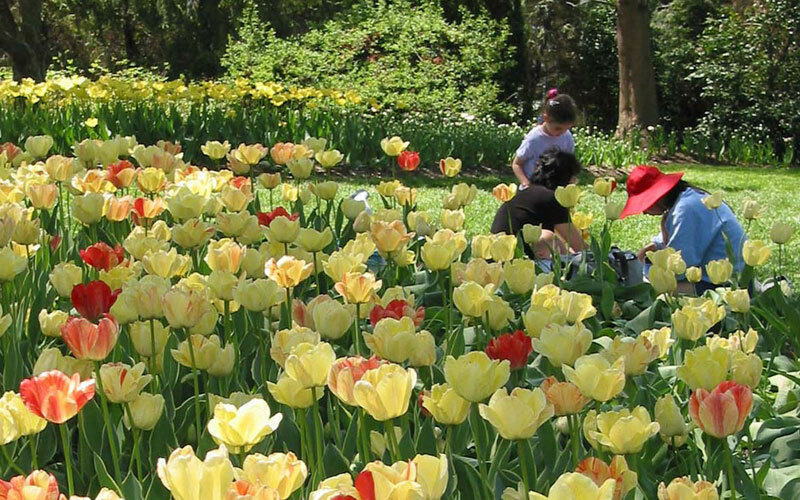 Best known for our 80,000+ bulb tulip showcase that occurs each Spring, Sherwood Gardens also hosts other events to celebrate the natural beauty of each season. Sherwood Gardens is a privately owned community park, originally called Stratford Green. The Park is Olmsted designed and in the center of a residential community called Guilford located in Northern Baltimore City. Guilford, another Olmsted designed gem, dates back to 1913 and is a Registered Historic District significant for its planning, its architecture, and Sherwood Gardens. Sherwood Gardens, famous for its annual tulip display, was created in the 1920’s by John W. Sherwood whose home bordered the Park. Mr. Sherwood indulged his passion for tulips by importing tens of thousands each year for planting tulip beds on his property surrounding the Park. Mr. Sherwood adhered to Olmsted Design Principles by creating a pastoral space with native plants, rare trees and flowering shrubs that were a fitting backdrop for his beloved tulips. Today Sherwood Gardens remains a wonderland of tulips in the Spring and a summer long festival of annual flowers. Thousands of visitors from around the world, come every year to enjoy the visual spectacle envisioned by The Olmsted Brothers and John Sherwood. It is worth noting that the ongoing displays are 100% privately funded. Stratford Green, Inc., the non-profit owner of Sherwood Gardens, depends entirely on contributions to fulfill its mission of providing a natural place for recreation for the community and related education. Sherwood Gardens is located in Northern Baltimore, Maryland in the area between East Highfield Road, Underwood Road, Stratford Road and Greenway. Sherwood Gardens is a private park that is open for the enjoyment of the public from dawn to dusk – 365 days a year! 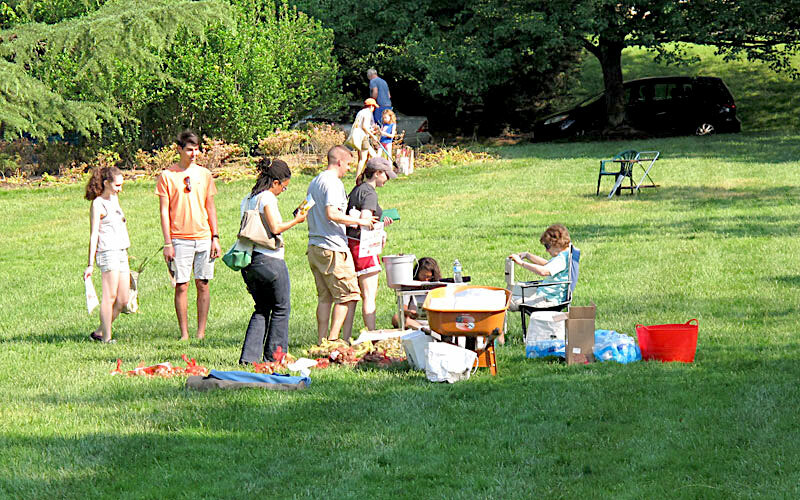 Sherwood Gardens is a non-profit entity supported and maintained by donations. To care for Sherwood Gardens, Donate. Site designed by ArtandDesignServices.com | Copyright 2017 Stratford Green, Inc.